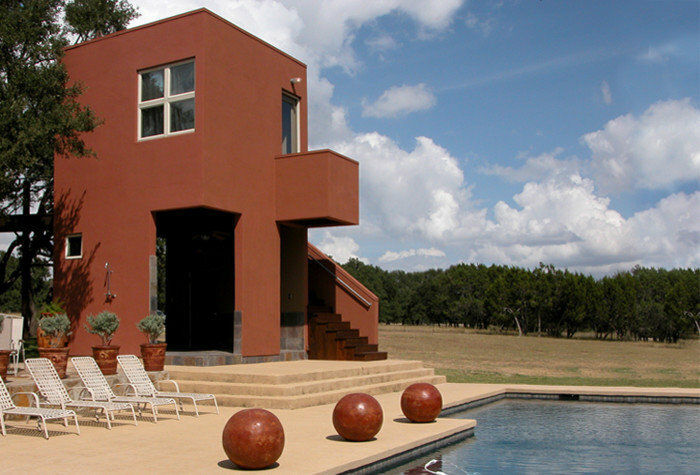 Modern villa set in the rolling Texas Hill Country. 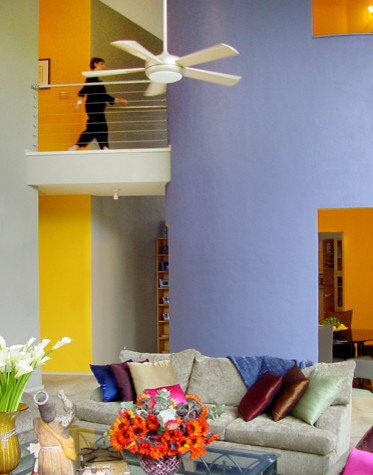 The client, an artist of Mexican descent, asked for a modern interpretation of a Mexican hacienda. 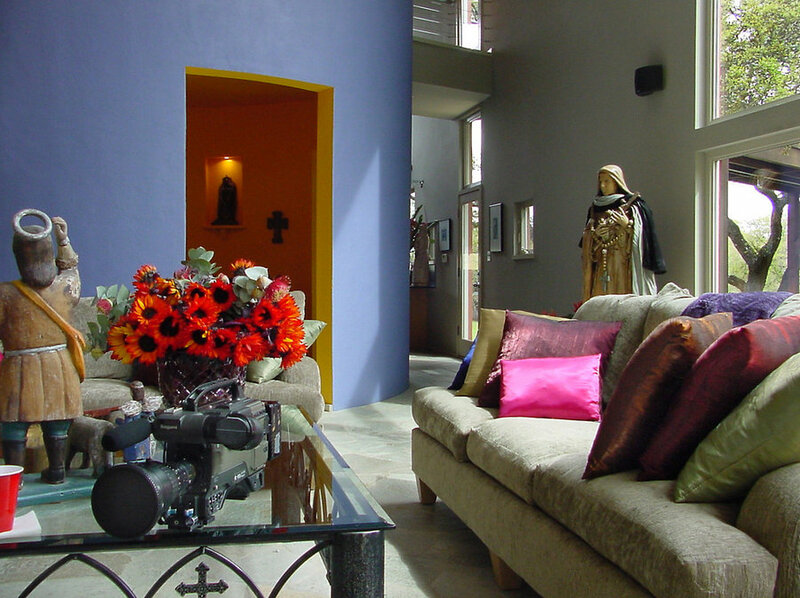 She and her doctor husband have a sensational collection of Mexican religious art and artifacts. 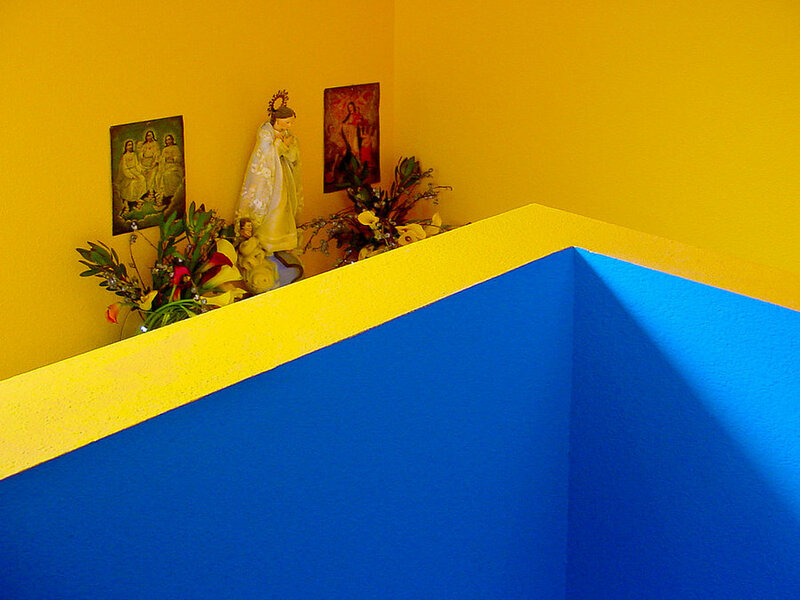 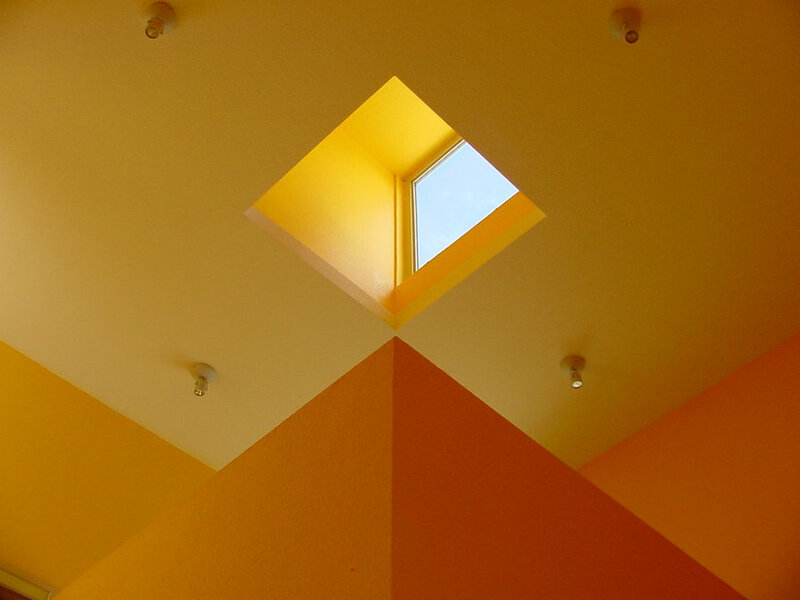 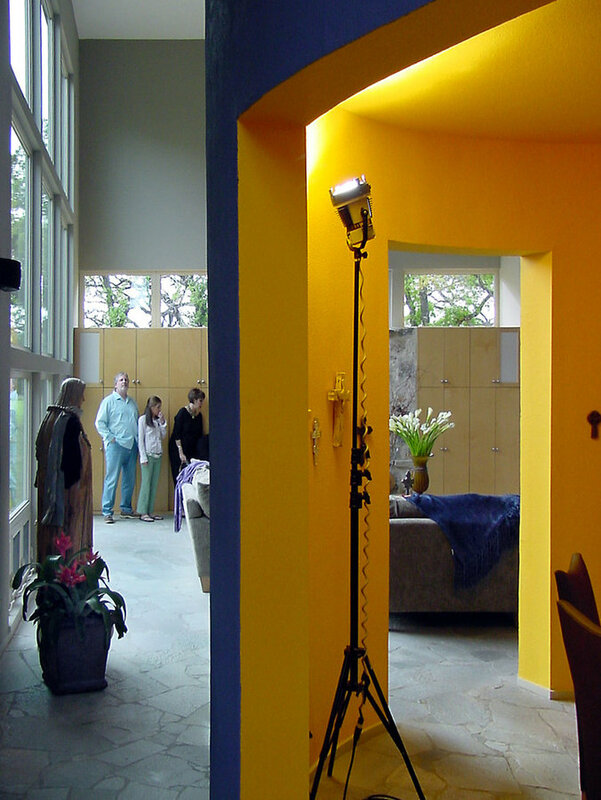 The hacienda itself is a piece of colorful sculpture in which to house the collection. 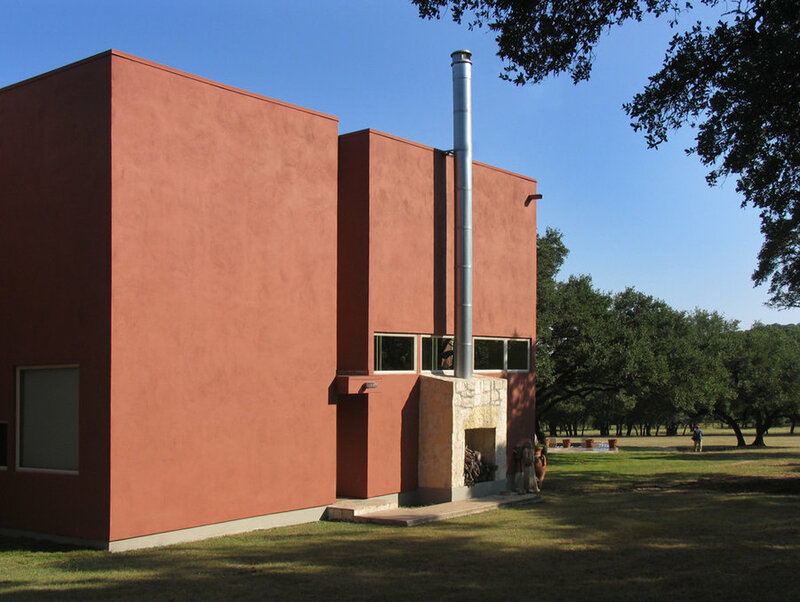 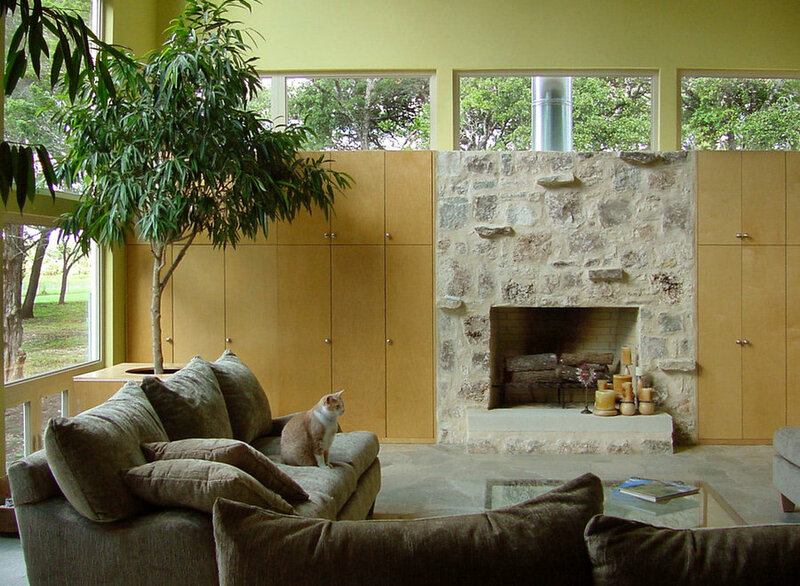 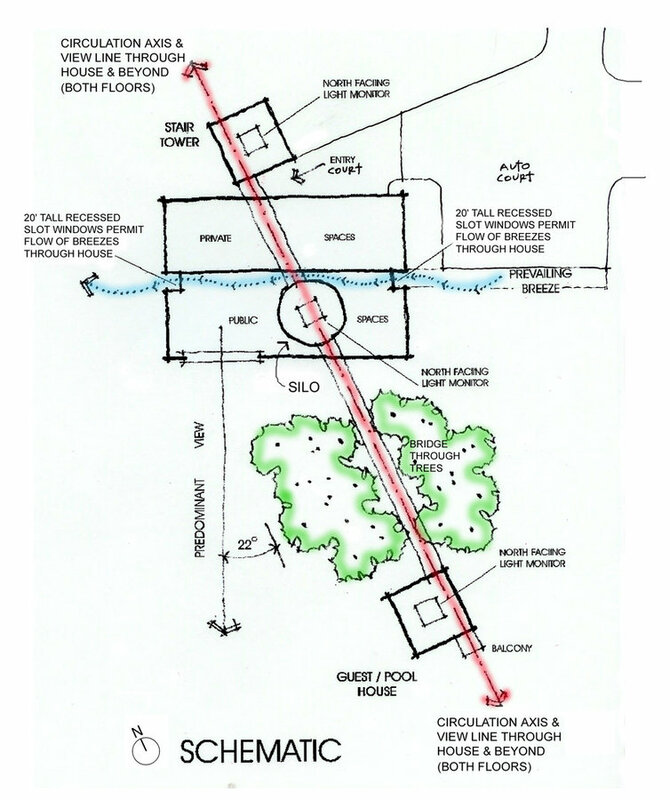 The galvanized steel flue is outside the house and serves as an exterior design element. 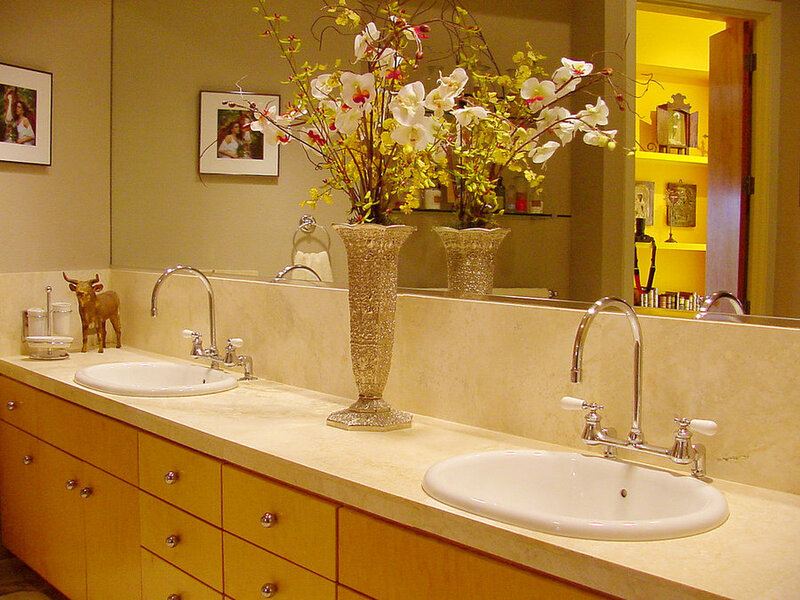 Cabinets are natural birch. 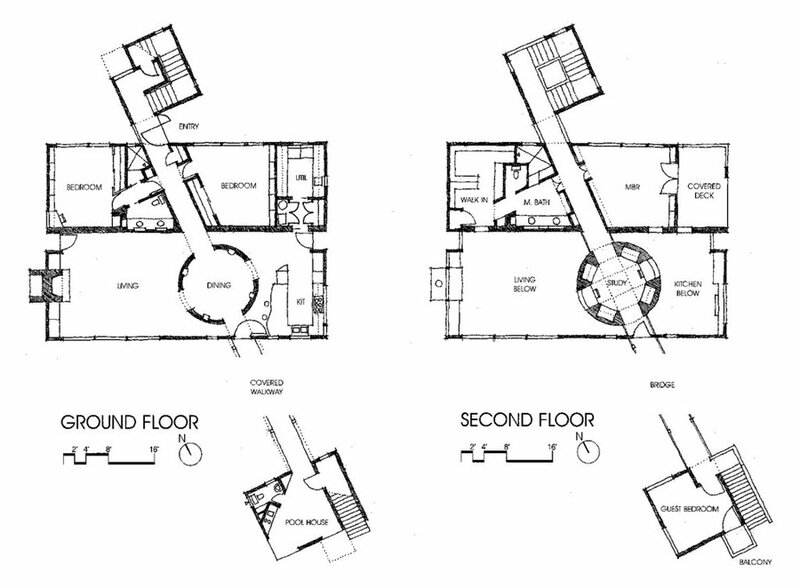 The main room is a two-story space with a 16-foot diameter, blue cylinder that divides the large space into kitchen and living areas. 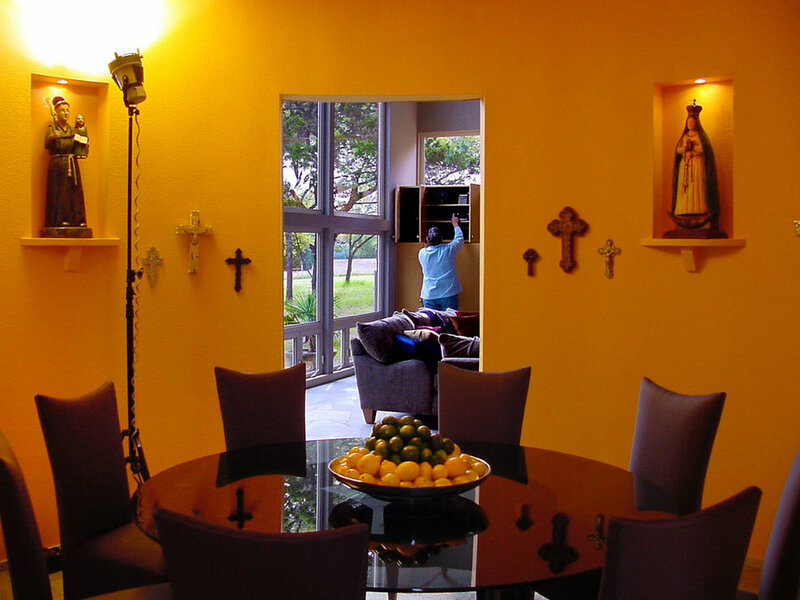 Inside the cylinder reside the dining (downstairs) and library/office (upstairs), connected by bridges to MBR and outside to the guest house through the trees. 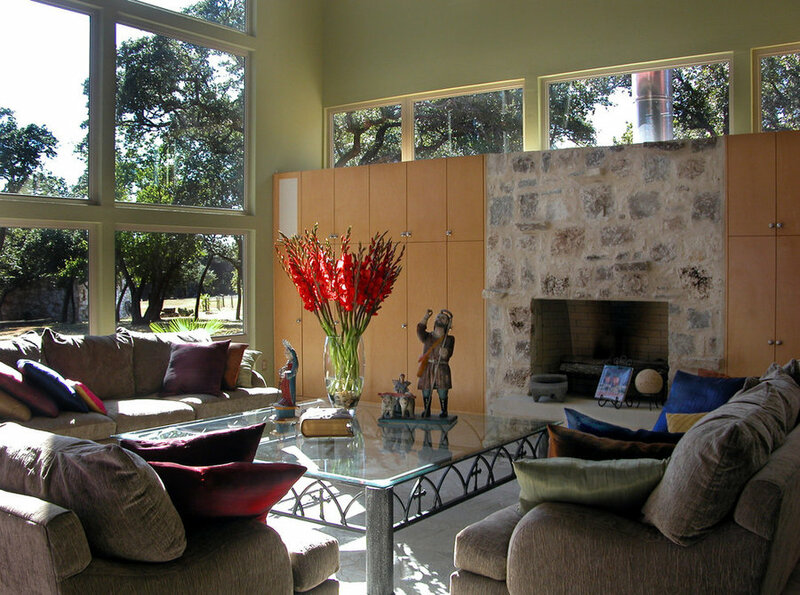 The kitchen has windows in many locations: the picture window shown, the slot window above the stove at sitting level so that people eating at the bar have a view to the hillside. 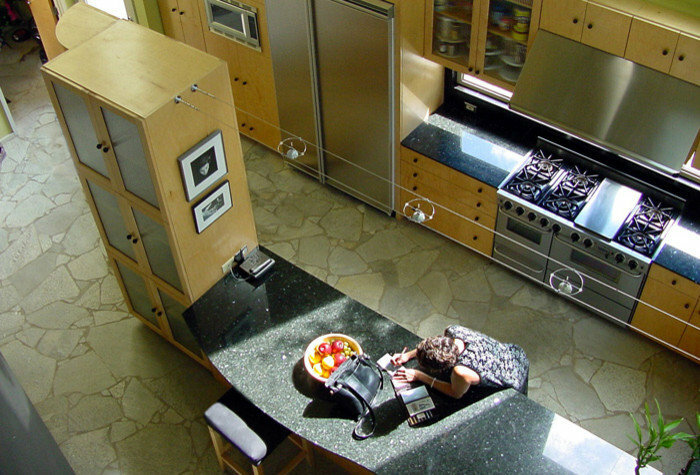 Counter top is black granite embedded with white crystals, resembling a night sky. 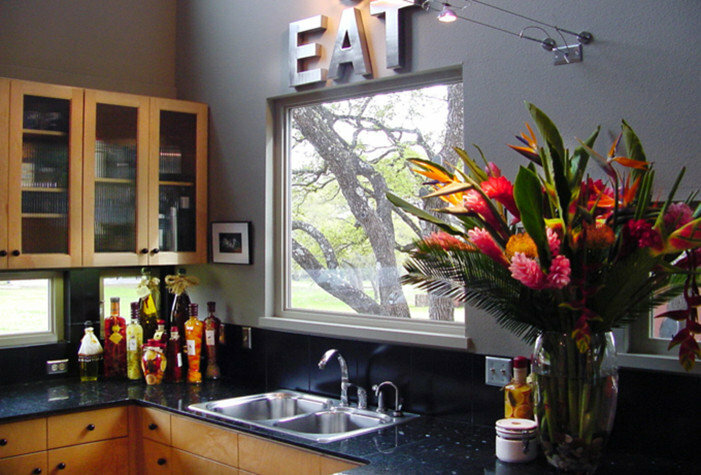 Upper cabinets are fluted glass. 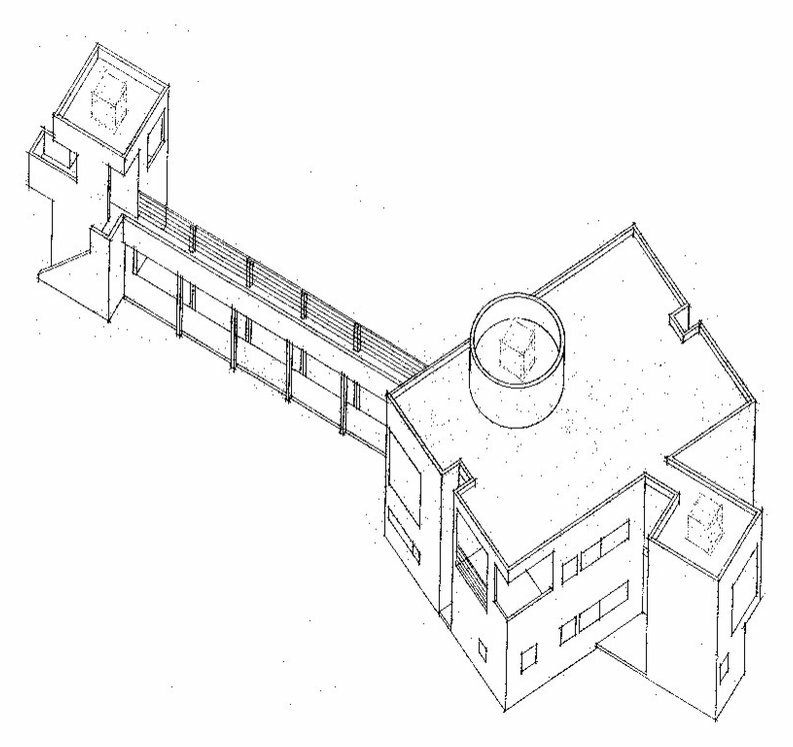 View of the kitchen from the bridge above. 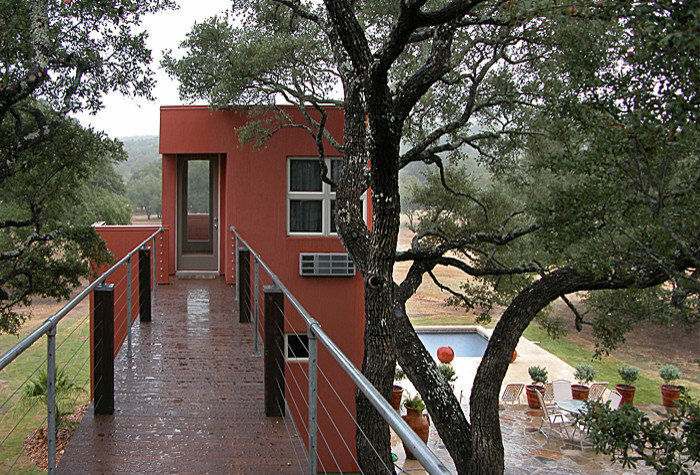 The same bridge runs outside through the oak trees to the Guest/Pool house.